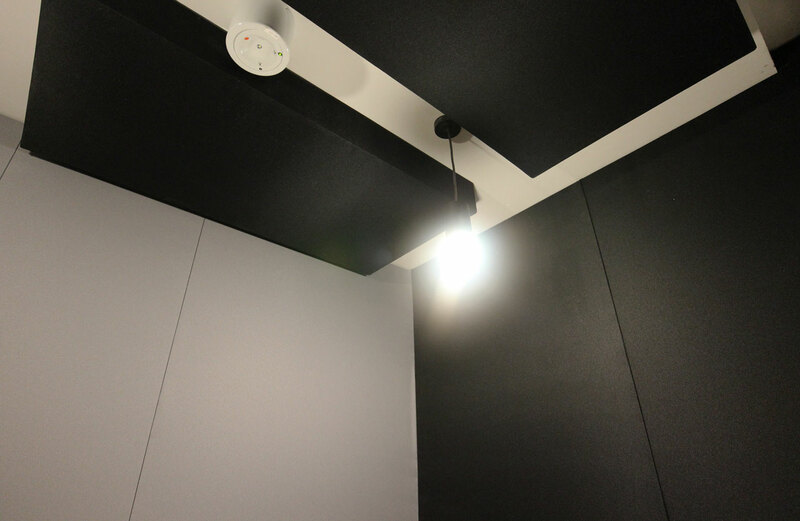 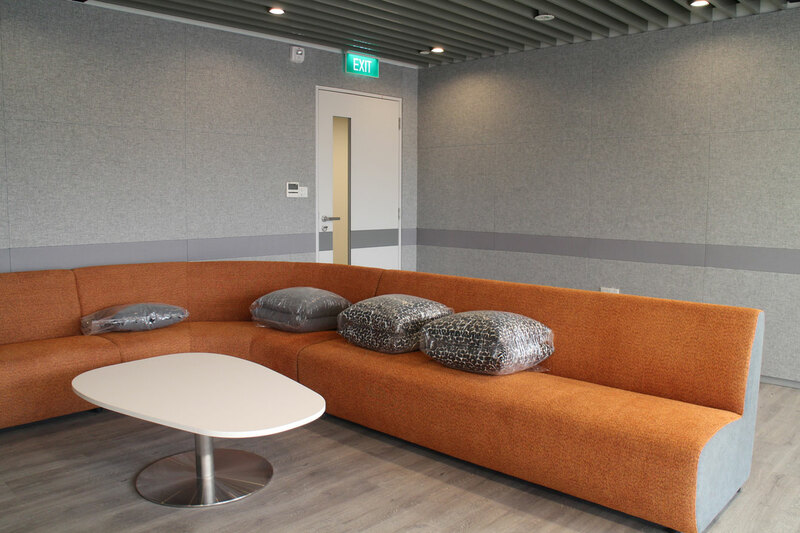 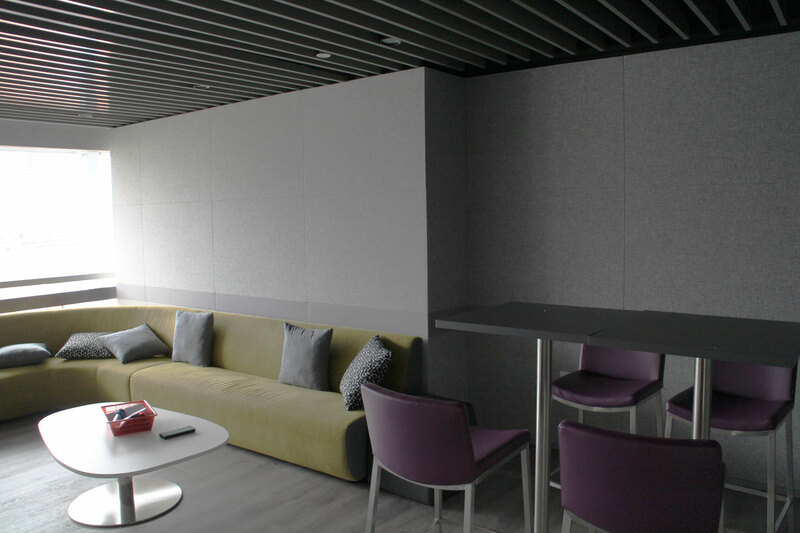 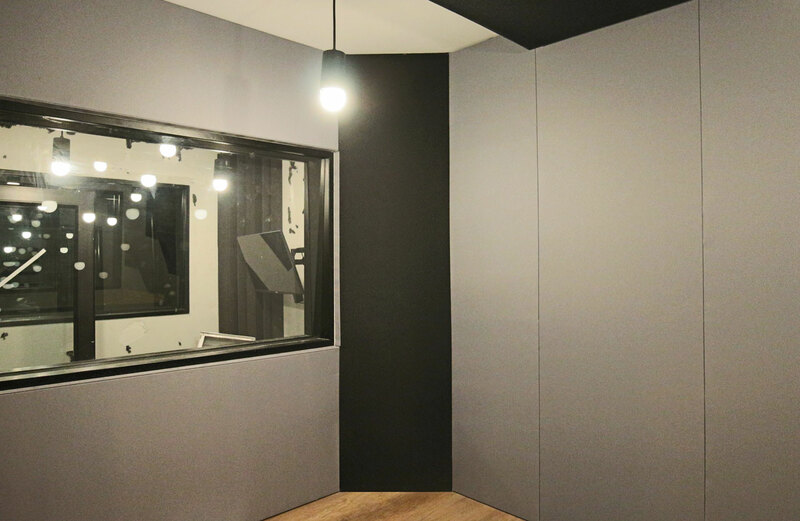 Apart from installing Cellyx acoustic foam panels on the ceiling, Fabrix profiles ML 27S (Mid Load, 27mm Height, Square Profile) and EL 27S (Edge Load, 27mm Height, Square Profile) were used to create the acoustic panels that clad the walls of the recording studio. 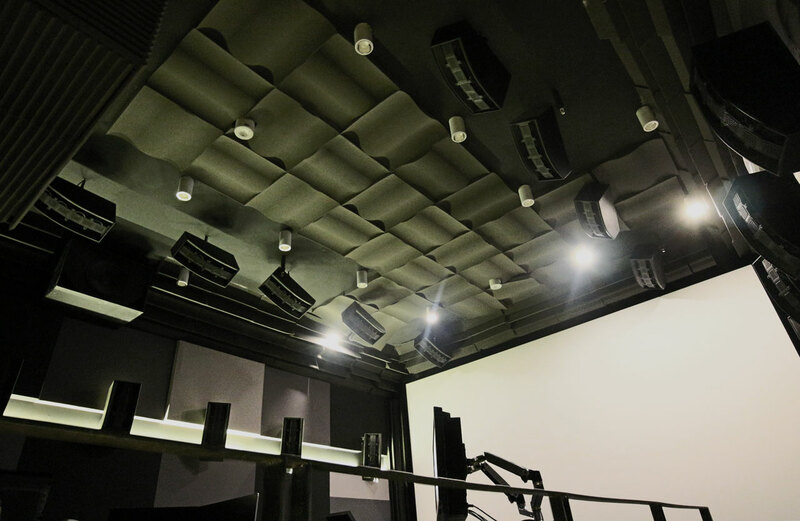 The acoustics of the MPH was designed to achieve an RT60 time of 1.2 – 1.8 seconds. 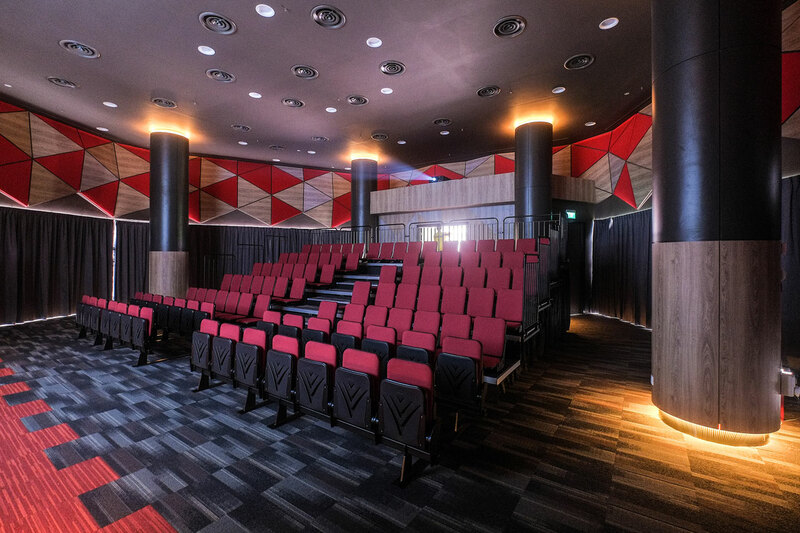 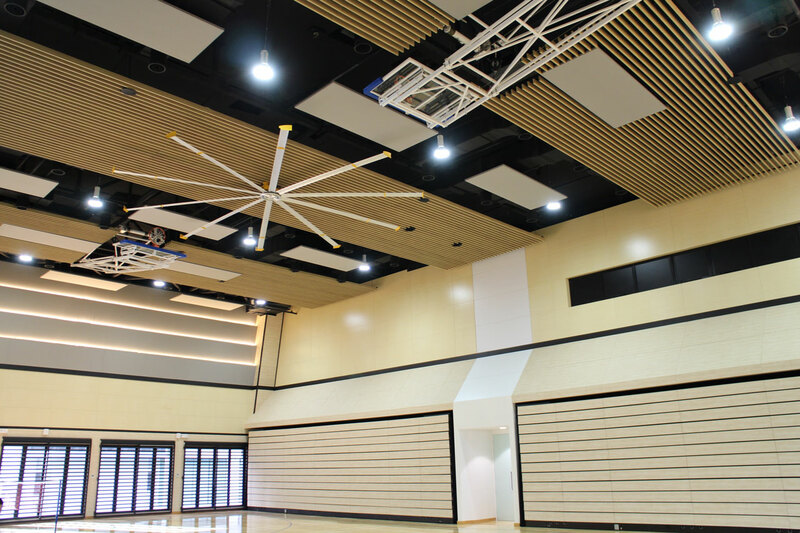 Timberix perforated panels with perforations E 32/32/6, and oak melamine finish were installed onto the walls of the hall. 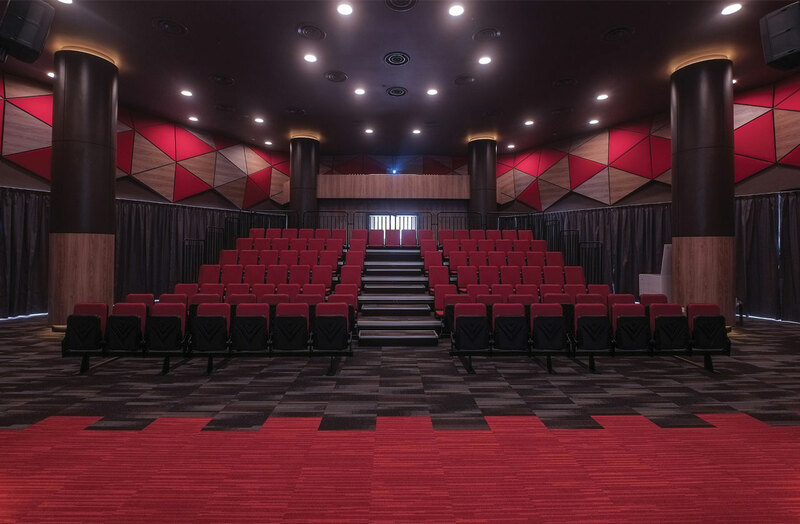 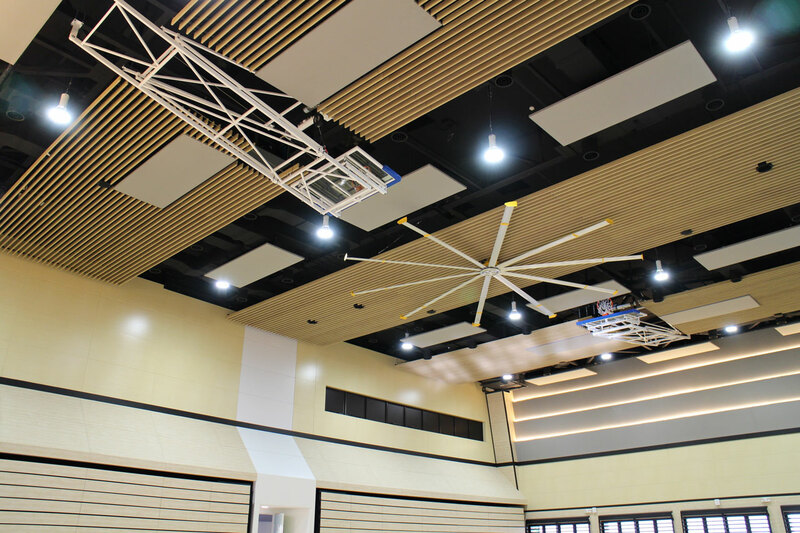 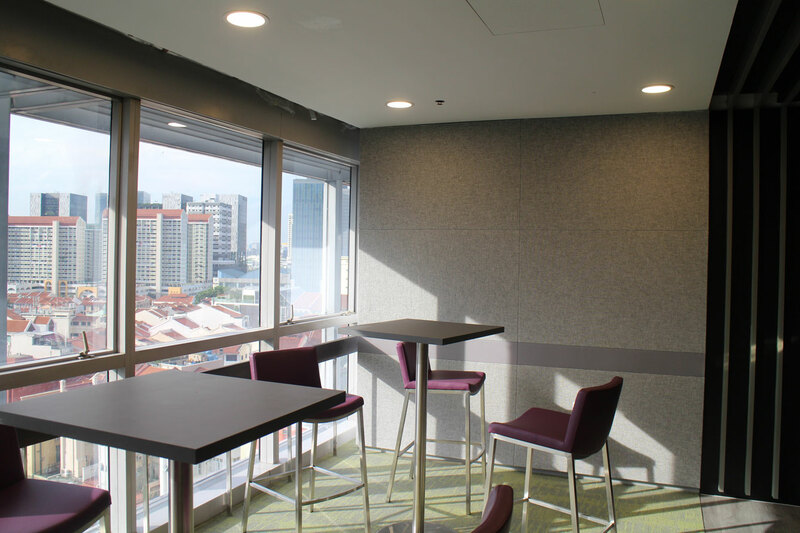 Fabrix profiles ML 27S (Mid Load, 27mm Height, Square Profile), EL 27S (Edge Load, 27mm Height, Square Profile) and ES 27S (Edge Snap, 27mm Height, Square Profile) were used in the installation of acoustic panels that were cladded onto the left and right side of the hall to achive the required reveberation time.